We’re entering that slow time of year for businesses. Unless you work in the retail or hospitality industries, November and December usually bring a quiet calm to the office. Clients go on vacation. Emails go from a torrent to a trickle. Desks are cleaned and reorganized. And that’s why the end of the year is the perfect time to brush up on your skills. To help you end the year on a strong note, we’ve put together this list of training resources. Because project management is such a multifaceted role that works with many different stakeholders, we’ve included both PM and non-PM resources. These resources range from free to thousands of dollars. The time investment also ranges from a few minutes each day to several months. It’s hard enough to lead a project when you’re the boss. Leading a project team that doesn’t report to you is a whole new challenge in itself. Kendrick walks through how to motivate a team to contribute to a project’s success. Using data from a survey of more than 800 project managers from around the world, Crowe looks at what traits and practices make the top 2 percent of project managers rise above the rest. Readers will walk away with actionable steps they can take to rise to the top. 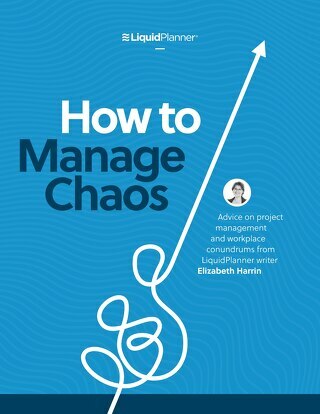 While there are a lot of books out there about the proper ways to deliver bad news, this one is directed at project managers. Sigmon gives project managers a defined process to not only break bad news, but also improve communication over the long-term. Are you expected to organize and lead projects without any formal training to draw from? You’re not alone. More and more of us are being asked to PM. This book helps build a foundation, walking through the essentials of people and project management. Drawing from his years leading technology projects at Microsoft, Berkun offers readers field-tested philosophies and strategies for defining, leading, and managing projects. If you’re leading technology projects, this is a must-read. Silber presents a new methodology, Adaptive Project Management, in this book. He explains how to succeed or fail fast for projects that are too uncertain to use waterfall project management and too complex to succeed with agile project management. An oldie but a goodie. Don’t let the title dissuade you from reading. Drucker’s lessons about time management, prioritization, and effective decision-making can be applied to any knowledge worker. The book that started it all; this is the definitive guide to GTD. In the age of multitasking and information overload, Getting Things Done is the book we need to find focus. Over 592 pages, the hedge fund titan Ray Dalio explains the principles that have led to the success of his firm Bridgewater Associates. The book reads partly like a memoir, partly like an instruction manual for life. Gawande, a renowned surgeon and New Yorker writer, is a proponent of the simple checklist. At first glance, the subject matter sounds like it could be just another dry how-to book, but Gawande’s anecdotes and writing skills take this one to another level. He expertly blends storytelling, science, and productivity. After college, Bailey turned down two lucrative job offers and instead funneled his energy into chronicling productivity experiments on his blog. 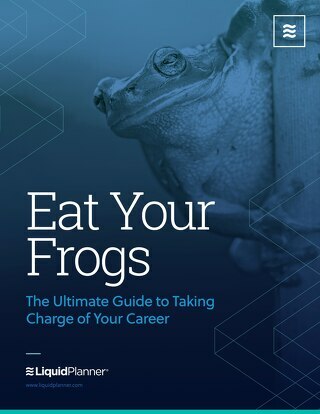 This book contains the results of these experiments, plus interviews with leading productivity experts and 25 takeaway lessons that the reader can apply to everyday life. The Project Management Podcast. Hosted by Cornelius Fitcher, the PM Podcast has more than 300 free and paid podcasts available for your listening pleasure. He brings in PM experts to talk about a wide variety of topics, everything from how to become a PM to managing unknown risks. Bonus: You can earn 60 free PDUs (Category C) by listening. The People and Projects Podcast. Andy Kaufman interviews experts on PM, productivity, and management on his People and Projects Podcast. A new podcast is released every three to four weeks. Like the PM Podcast, you can earn free PDUs by listening. The Lazy Project Manager. Hosted by Peter Taylor, this podcast began in 2013 after he published his best-selling book by the same name. Taylor has been described as “one of the most entertaining and inspirational speakers in project management today.” Topics and themes really run the gamut on this podcast, with new podcasts being released at least once a month. PM for the Masses. Cesar Abeid brings a wide variety of guests onto his popular podcast. Topics cover everything from public speaking to methodology to careers. While Abeid hasn’t released a new podcast since 2016, the archives are still worth exploring. Beyond the To Do List | Personal Productivity Perspectives. Hosted by Erik Fisher, this podcast explores different aspects of productivity, getting the work done, and living a good life. He invites real people to talk about how they implement productivity strategies in their professional and personal lives. The Tim Ferriss Show. Hosted by Tim Ferriss, author of The 4-Hour Work Week, this podcast was the first business/interview podcast to pass 100,000,000 downloads. He brings on well-known personalities to dissect what tools, techniques, and tactics they used to get where they are. Getting Things Done. Is your copy of David Allen’s Getting Things Done dog eared and full of notes? Then you’ll love his podcast. Allen talks with people who are in different stages of their GTD journey and offers practical tips for building your own GTD systems. Back to Work. In this award-winning podcast, Merlin Mann and Dan Benjamin discuss productivity, constraints, tools, and communication. Mann and Benjamin offer a nice balance of clever banter and teaching in every one hour episode. The Moth. A storytelling podcast? Yes yes yes. Two reasons: 1. All work and no play makes for dull project managers. You need some fun listening between all of these business and productivity podcasts. 2. Storytelling is being called the new “essential skills” for business leaders. Listening to The Moth can help you learn to build a narrative that keeps your audience wanting more. If you’re brand new to project management, this intro course is for you. Over four weeks, you’ll walk through the foundations of project management. This course is intended to prepare you for the fully-online accredited Applied Project Management Certificate from the University of California, Irvine. In this 6-month, online course, you’ll have the opportunity to attend instructor-led virtual sessions, receive expert feedback on projects, and access career coaching services. This course fulfills the educational requirements of the Project Management Institute’s Project Management Professional (PMP)® credential. By the end, you’ll be prepared to take the PMP® exam. This course is offered through Coursera and the University of California, Irvine. This foundational course is offered by Alison, another MOOC company that offers free education online. This course covers the basics of project management, from methodologies to documentation the phases of a project. Most users complete it in 10 to 15 hours. Master of Project Academy offers both free and paid courses that cover a wide variety of topics. We recommend checking out the “Project Management Training Bundle”, which gives you access to the PM certification courses, as well as the Agile and scrum certification courses. Master of Project Academy offers monthly and annual subscriptions. The courses are self-paced and can be started and completed at your choosing. Not happy? The academy offers 30-day money back guarantee. Cost: Varies. The PM Training Bundle is $62 per month or $307 annually. This is another introduction course, great for those who are new to the PM world. This 3-part course covers: an introduction to PM, role of the PM, and the project lifecycle. This online, self-paced course will benefit anyone interested in learning the fundamentals of managing projects, with a focus on preparing for the Certified Associate in Project Management (CAPM)® credential exam. AMA currently has 64 in-person sessions scheduled across the US between November 1, 2017 and August 6, 2018. While they provide an overview of PM fundamentals, this course is designed to focus on practical application of PM skills. The course is designed for those new to PM, the “accidental” PM, and knowledge workers who are interested in upping their management game. This course provides a beginner overview of the Agile methodology, specifically within software projects. You’ll learn to coordinate all aspects of the agile development process, including running design sprints, managing teams, and fostering a culture of experimentation. The online learning platform Lynda.com offers more than 90 courses related to project management. Many of these courses qualify for PDUs through PMI. This three-course certificate program is offered by the continuing education department of the University of Washington. The program is designed for both professional PMs and those looking to enter the field. UW has been approved by PMI® to issue professional development units (PDUs) for these courses, which fulfill the education requirements for the Project Management Professional (PMP)® certification. This certificate is offered both online and in-person at the University of Washington campus in Seattle, Wash. This program from UC Berkeley comprises 3 required courses and 8 additional semester units of electives for a total of 14 semester units. The nice thing about this course is that you can start the program at any time and progress at your own pace. Most complete the program in one to two years. Colorado State University offers both in-classroom and online options for their certificate program. The five-module certificate follows the guidelines from PMI and provides a solid overview of project management principles. Georgetown also offers both in-classroom and online options for their certificate program. The program includes four required courses and two electives. For project professionals working in tech and software, Scrum certifications are an asset. The Scrum Alliance offers a wide variety of certifications, ranging from practitioner to coach to trainer. Change management and project management often go hand-in-hand. Learning best practices in change management can help you prepare for the consequences and results of certain projects. The Change Manage Institute offers several levels of accreditation. 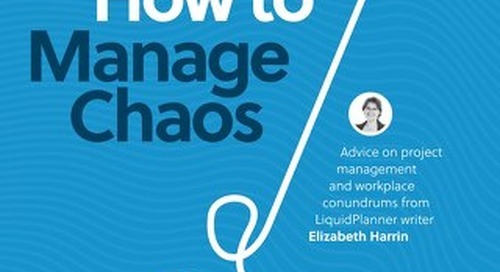 PM expert Elizabeth Harrin, who is a frequent contributor to the LiquidPlanner blog, writes about a wide variety of project management topics. Her strength is writing about careers, leadership, and teams within the PM space. She also provides free templates and toolkits to help PMs excel at their jobs. If you work in the software and product development space, you should bookmark this blog. Age of Product offers tools and insights for agile software development, product management, and lean methodologies. A well-curated site of helpful articles, webinars, white papers, and case studies about project management. Project Times isn’t afraid to post the offbeat (i.e., “Why Project Managers Shouldn’t Wear Man Buns”), which makes for a fun read. Published by British recruiting firm Arras People, this blog covers topics around PM careers, project sponsorship, PMOs, and more. I’ve heard that the British perspective on PM differs from the American, so watch for that as you read. While HBR isn’t solely focused on PM, its focus on management, leadership, and careers is beneficial and applicable to any office dweller. Glen Alleman writes about a wide variety of topics related to Agile methodology and project management. I’ve found that the project management section of the CIO website has some great content within the context of IT and tech PM. Articles cover everything from implementing an ERP systems to managing project budgets. We hope you find these resources helpful! Is there anything you’d like to see added to this list? Let us know in the comments. The post 43 Learning Resources for New and Experienced Project Managers appeared first on LiquidPlanner.